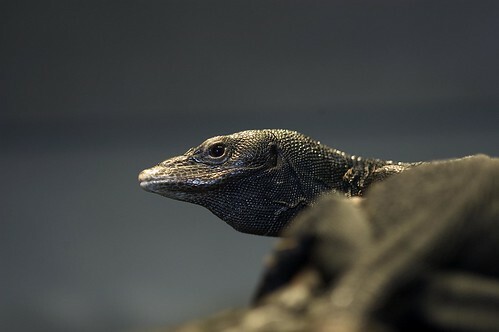 A large lizard, the black tree monitor gets its name from its all-black skin. The species can reach 3-4 feet in length; males are slightly larger than females. 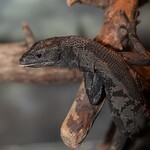 The black tree monitor is native to the Aru Islands of Indonesia. 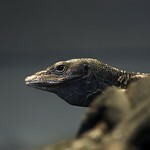 The black tree monitor is vulnerable due to habitat loss. 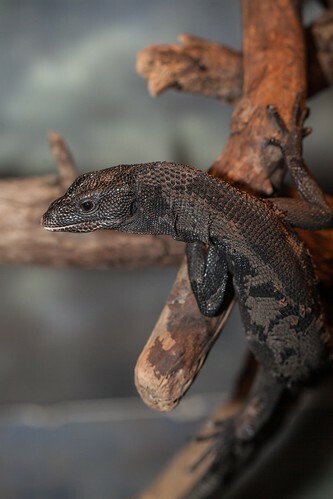 Lincoln Park Zoo cooperatively manages black tree monitor populations with other institutions in the Association of Zoos and Aquariums. 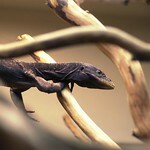 The species inhabits rain forests and mangrove swamps. 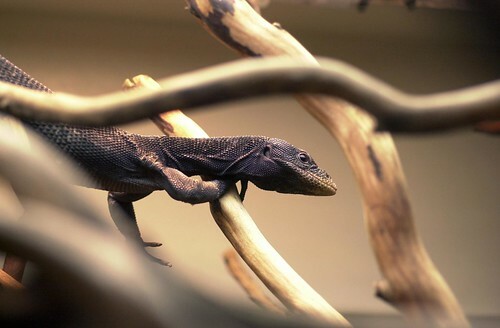 This carnivorous lizard is adapted to life in the trees. Its large tail aids balance, and large teeth help it catch prey such as insects, lizards and small mammals. They also feed on eggs and nestlings found in the treetops. After breeding, females lay 7-35 eggs, which hatch in 8-10 weeks.